"A Handful of Flour” will take you through the properties and characteristics of many of the beautiful and diverse flours available, accompanied by recipes and practical notes on how to use them – putting our passion for milling grains into practice! More than just a baking book, this is a book to introduce you to cooking with flour in general, from popular and classic varieties to ancient grains and gluten-free flours. 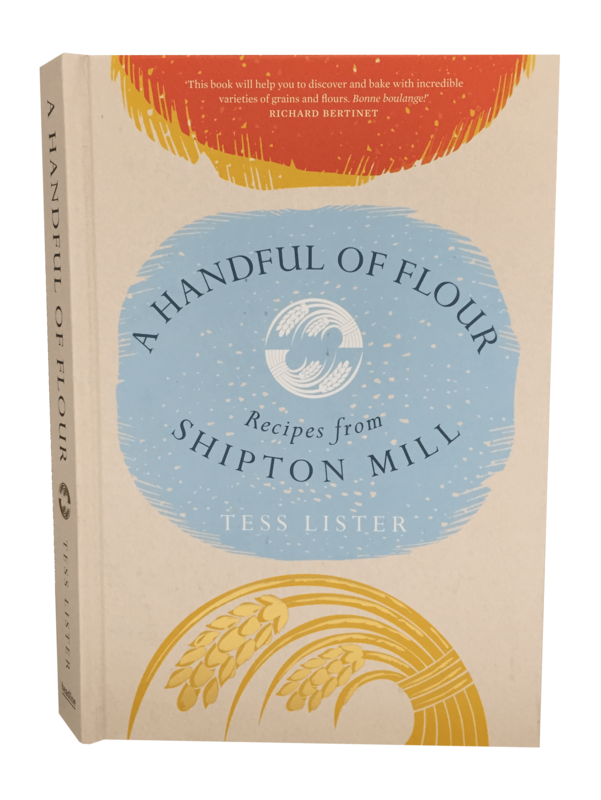 This book is very special to us in that it is something of a family endeavour, as the author is Tess Lister, daughter of the founder of Shipton Mill, John Lister. Having grown up living at the Mill, this provides a unique insight into life at this beautiful and ancient Gloucestershire site. Head Baker Salah Bouremmane, who many of you will know from Shipton Mill's baking courses, is also contributing some of his recipes and insight into baking breads and sourdoughs, his passion and area of expertise. This book will help you to discover and bake with incredible varieties of grains and flours. Bonne boulange! It's such a treat to be allowed into the world of Shipton Mill through this book. We get to meet the Shipton family, friends and millers, we learn about all sorts of flours and then, to boot, get inspired to cover our own kitchen work surfaces in flour. The tradition of milling flour and making bread is a timeless one. Keeping things simple when so much in life gets more complicated is actually really hard. Any business or book which manages to pull this off deserves to be celebrated. John Lister's artful blend of idealism, manufacturing ingenuity and style has made Shipton the UK's leading organic mill and a key supplier of flour to the artisan bread revolution. The story of a restless creativity at work is jauntily told by his daughter in this exposition of life in an exceptional country mill, celebrating grain, flour and bread with a host of information and well-worked contemporary recipes. This is the book I've been waiting for... what a joy to see the skills and knowledge being passed on with such passion by the miller's daughter.